LOGGERS is an international solution provider in the field of shock, vibration and noise control. Loggers offers innovative solutions based on a wide range of high-quality components and related technical services. The Leaf Spring Mount (LSM), or X-mount, is a longer existing type of shock mount originally developed for the British Navy. It was primarily designed to protect ship borne equipment from underwater explosions, but has found a large number of applications in both military and civil use. 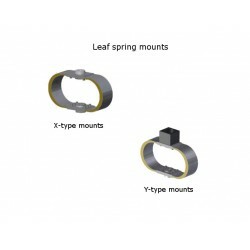 High deflection mounts are rubber shock mounts with generic advantages. 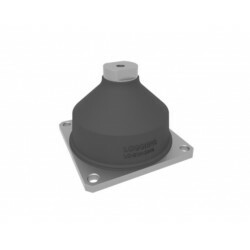 In addition to shock isolation these isolators also provide a high level of vibration and sound isolation. High deflection mounts are available in many different sizes and various characteristics.